In the spirit of Early Spring, I’ve decided I should try something new, something I’ve never done before, something to celebrate the beautiful weather. I hit upon the perfect activity, and it turned out to be interesting, but not without frustration new activities sometimes generate. My local newspaper has been publicizing the Great Backyard Bird Count (GBBC), being held this weekend (February 12- February 15th.) It is a global event, coordinated through Cornell University. For several years I have had bird seed feeders and hummingbird feeders in my backyard and they have been fun to watch. It seemed reasonable to participate in the GBBC at least once. Besides, all I had to do was site near my kitchen window and record what I saw. The recording was not that difficult, and although I am hardly a committed birder, I did know the types of birds that frequent my backyard. In a 30 minute period, I saw 40 birds from 5 different species. You can find information on GBBC at BirdCount.org, at ebird.org or by contacting your local Audobon Society. It’s a great activity to do as a family – go to a park to watch the birds, then have a picnic. 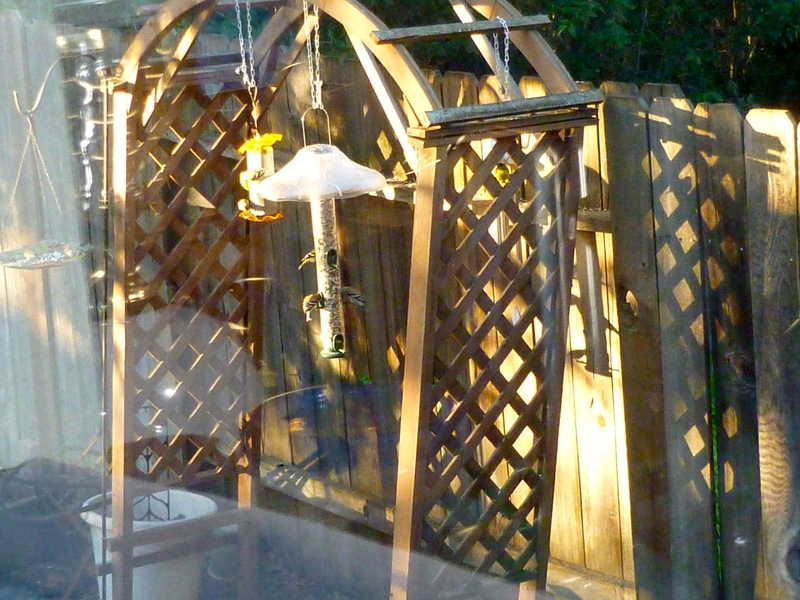 A picture of one of the bird seed feeders in my backyard – rather barren looking because apparently the vine that usually grows so beautifully has not yet gotten the word that spring is early this year!